Odor Neutralization - Water Tech, Inc. Effective thanks to science. Safe thanks to nature. When you have the science of nature on your side, you don’t need any of the nasty stuff. Ecosorb® products harnesses the power of science with the safety of natural ingredients. In fact, they contain zero toxins or harmful VOCs. Yet Ecosorb® products are able to employ chemical bonding and molecular science to quickly and effectively neutralize odors. But can natural be effective? Absolutely. Because Ecosorb® products rely on proven molecular science instead of fruity fragrances, they have been shown in laboratory and real-world settings to rid the atmosphere of organic and inorganic odors time and time again. Equally significant, unlike masking agents, the odor neutralizing power of Ecosorb® will not fade away in time. As an added bonus, utilizing the power of nature means Ecosorb® is also good for the environment. More importantly, Ecosorb® is safe for the workplace. The absence of toxins means Ecosorb® products will never cause harm, injury or illness when used around humans – even in confined areas. Extremely effective and completely safe to use around people, plants and animals, Ecosorb® products eliminate odors without using masking agents. Not only undesirable, masking agents can cause negative reactions in people. We get to the source of the odor. Odors can be down right difficult to get at. But anywhere there’s an odor, there’s a way to neutralize it using Ecosorb® products. The unique formulations are incredibly versatile. This makes Ecosorb® products effective for numerous odors, and able to be delivered in a variety of ways – including atomization, vaporization, as an additive, or in gel coating formulation. Perhaps most important, regardless of your preferred delivery system, Ecosorb® products will not negatively effect, diminish or alter your process or product performance one iota. Vaporization is an earth friendlier option because it uses zero water. 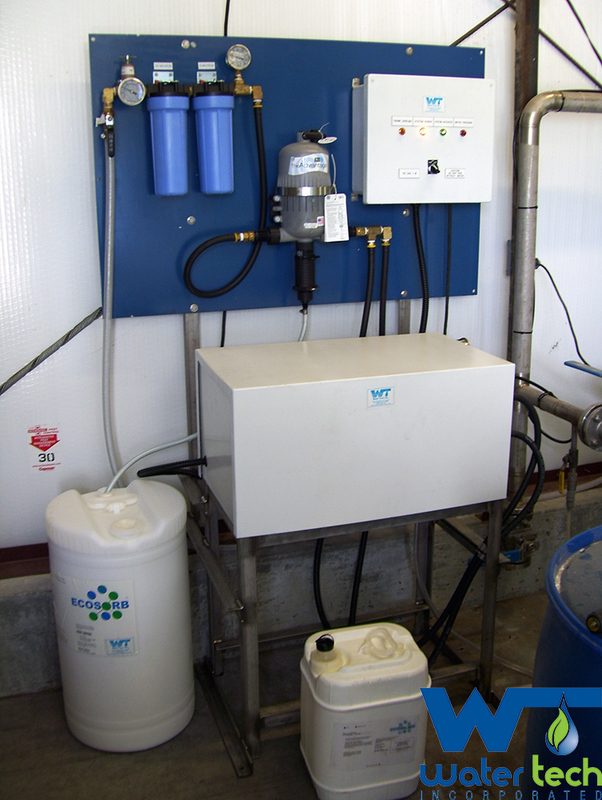 Instead, undiluted Ecosorb® products are pumped through a perforated distribution system. The pressure and gauge of the perforations create a “dry mist” that neutralizes odors. The vapor phase system of delivery is extremely adaptable, as it delivers Ecosorb® product vapors at rates as low as 130 CFM to a high of 1,200 CFM. Larger, custom designs are also available. For airborne odor treatment, Ecosorb® products are mixed with water, pumped through pipes or hoses, and delivered via nozzles or fans to the affected areas. Atomization is available in a variety of formats, including explosion proof systems, high pressure atomization systems, air atomization systems, fan atomization systems, portable systems, and custom designed options. Ecosorb® additive products can be infused directly into the end product to neutralize odorous compounds and suppress the odor emissions. Ecosorb® products are natural and can be added to most, if not all, products with no effect on quality or performance. Current applications include asphalt binders, petroleum based and synthetic oils, used oils, recycled rubber, plastics, and more. A special gel formulation of Ecosorb® odor neutralizer topically caps odors from escaping into the atmosphere. The Ecosorb® spray gel application is an ideal solution for open-bed waste trucks, working faces of landfills and other solid/semi-solid odorous materials. Industries worldwide, with processes and materials as varied as the areas they’re located in, rely on a common solution for odor issues: Ecosorb® odor neutralizers. Effective, natural and non-toxic, Ecosorb® products are scientifically formulated to neutralize organic and inorganic odor molecules. How? Multiple mechanisms are applied depending on the Ecosorb® product being used. For example, additives mostly suppress emissions; airborne treatment absorbs and reacts with odors; the spray gel both suppresses and aborbs. No matter the Ecosorb® product being used, a neutral atmosphere is created, free of odors without the use of any masking agents. No matter your business, no matter the odor, be it process or product, Water Tech offers a proven combination of Ecosorb® odor neutralizers and delivery systems that will eliminate the issue. 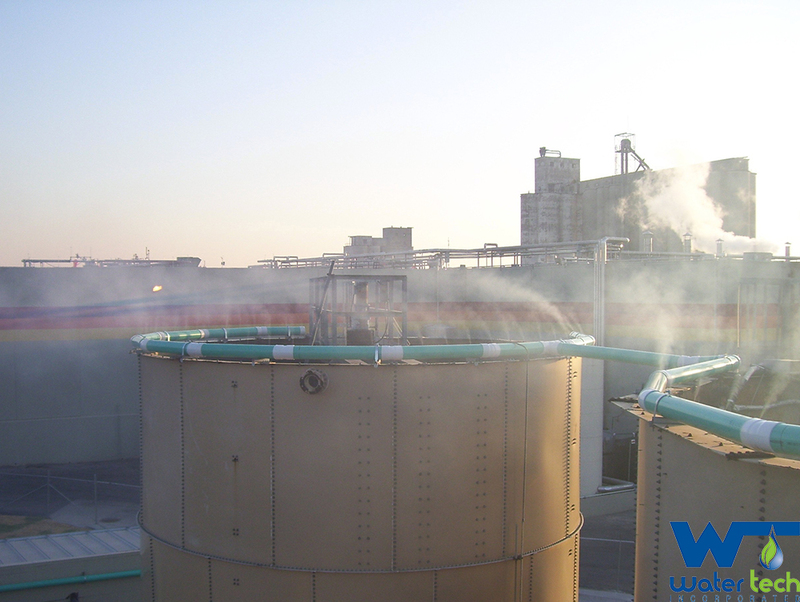 Water Tech specializes in effective, scientifically based and natural odor control using patented Ecosorb® product lines to meet the needs of industrial markets. From landfills to oil refineries, Water Tech products are versatile enough to eliminate organic and inorganic odors in nearly any environment. What’s more, they remove odors safely and quickly without the use of hazardous chemicals, expensive emission control systems or fragrant masking agents.